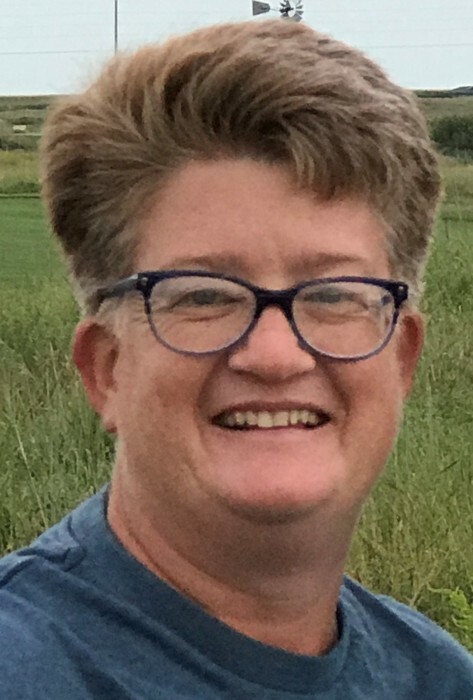 Theresa Coyle of Gothenburg passed away Sunday, March 24, 2019, at her home in Gothenburg at the age of 49. Theresa was born March 3, 1970, in Broken Bow, Nebraska, to Dr. Joseph and Loretta (Doody) Coyle. She graduated in 1988 from Omaha Marian High School. She attended college at Kansas State University where she played golf for four years. She earned her degree in Accounting. She worked in corporate America for 12 years before returning to school to earn her degree in teaching. At the time of her death, Theresa was a high school math teacher at Cozad High School in Cozad, NE. Theresa had many passions in her life. She was an avid golfer who competed all over the state, making friends everywhere she went. In 2018, she was inducted into the Omaha Marian Hall of Fame. She loved collecting anything “Snoopy” and loved to entertain her friends and students with her dancing skills. Theresa was a beloved teacher in Springview, Maywood, and Cozad, and was determined to help young people succeed. Her incredible sense of humor and compassion made her a favorite among all of her students. She was incredibly generous to everyone she knew and preferred to remain anonymous. Theresa was preceded in death by her parents, her brother Michael, and many beloved relatives. Survivors include her sister Colleen and husband Mark of Tampa Bay, Florida; brother Patrick and wife Missy of Fort Worth, Texas; niece Macy Potts; nephews Brandon Potts, Clay and Cooper Coyle; and her aunt Sister Mary Jo Coyle of Kansas City, Kansas. She is also survived by many, many friends and students whose lives she inspired. Memorials can be directed to the family in her name for later designation. Online condolences may be shared at blasestrauser.com. Services will be Friday, March 29, 2019, at 2:00 PM at Our Lady of Good Counsel in Gothenburg with Father Jorge Canela officiating. Visitation will be Thursday, March 28, 2019, from 1:00-7:00 with family receiving friends from 5:00-7:00 at Blasé-Strauser Memorial Chapel in Gothenburg, Nebraska. Theresa was a tissue and organ donor. It was her wish to be cremated.